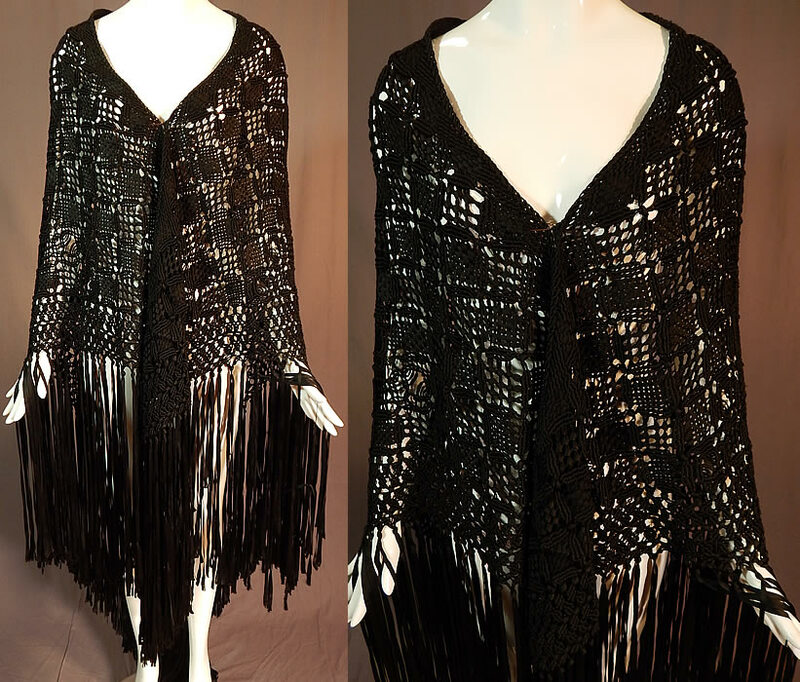 This vintage black Gothic silk ribbon macramé crochet hand knot fringe boho shawl dates from the 1920s. 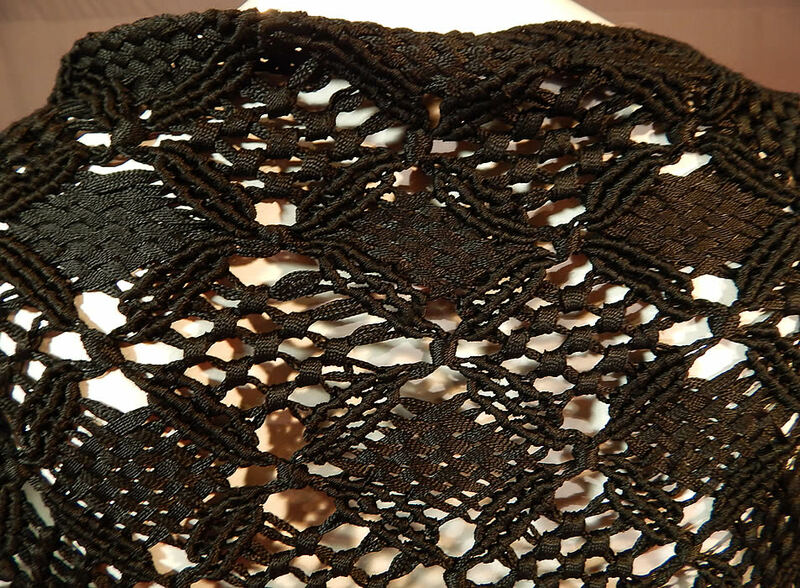 It is made of a black silk ribbon work with macramé crochet woven knot style decorative designs. 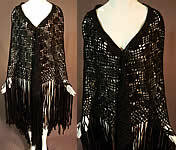 This fabulous flapper shawl stole scarf wrap has a large triangle shape, with hand knotted black silk fringe along the bottom and is sheer, unlined. The shawl is heavy weighing 4 pounds, measures 54 inches long in the center, 75 inches wide across the top and has 18 inch long fringe. It is in excellent condition. 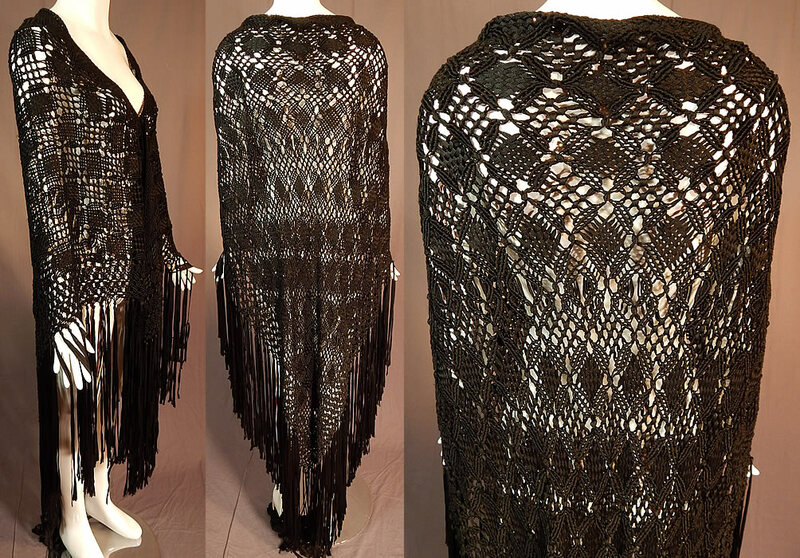 This is truly a wonderful piece of wearable boho Gothic textile art!